This week has been a real mixture of heavy rain and freezing cold days, but it ended with a beautiful clear blue sky. It has been a long week and a tiring one with not much sleep happening. By the time we got to Friday everyone was tired and pleased that it was nearly the weekend. 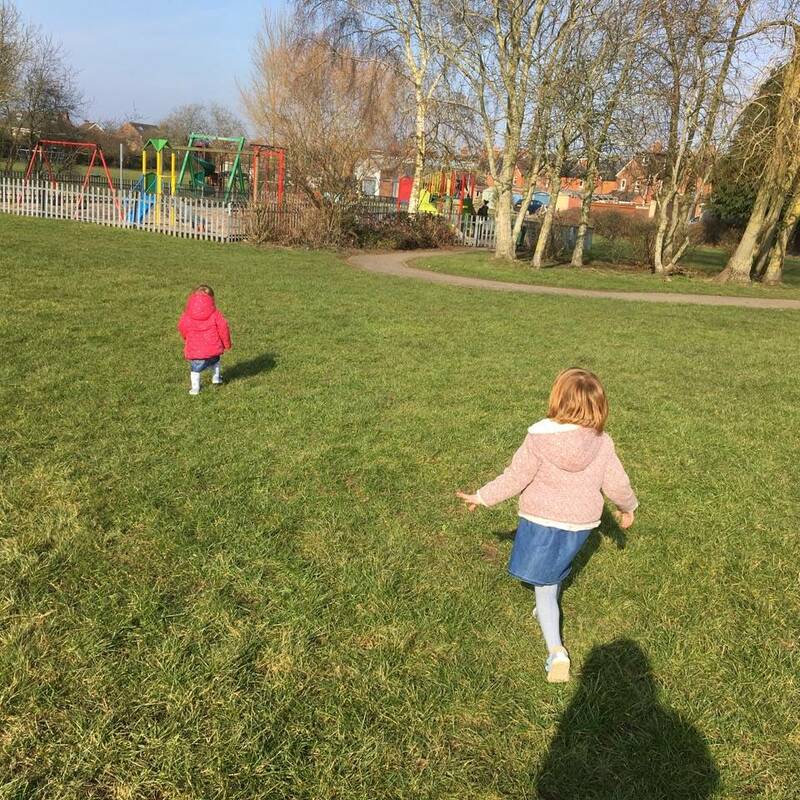 Alice had a morning at preschool, whilst Holly and I got a few errands done and jobs around the house. We picked Alice up and came home for lunch before Holly went down for her nap. I had planned to spend the afternoon at home, with the girls playing with their toys and me trying to enjoy a hot cup of coffee. But when Holly woke up, I looked out the window and saw a beautiful blue sky with the sun shining and changed my mind. We got our shoes and coats on and headed to the park, the girls excitedly giggling in the back of the car. I love how their relationship changes everyday and their bond grows stronger. The second we got there the girls were running across the field excited to be free to run and couldn’t get to the park fast enough. 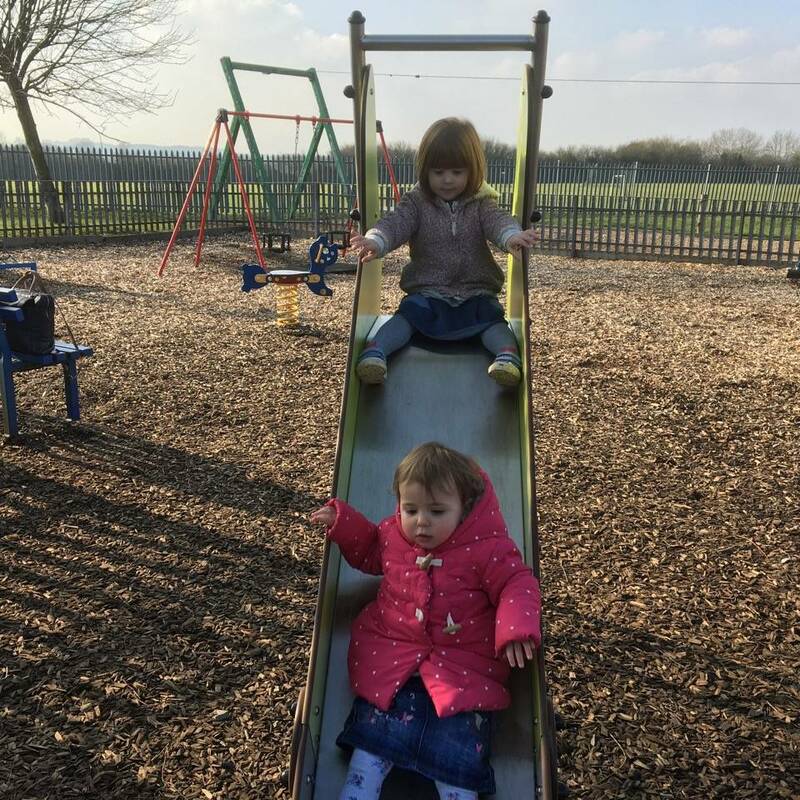 Alice is the perfect big sister, always making sure Holly is ok, helping her climb up the steps and giving her a push at the top of the slide. Holly is at an age where going to the park is starting to get easier, she is really stable on her feet now and only has the occasional stumble. She has a go at climbing the steps on the slide and when she gets to the top, she knows to get her feet out and sit down. 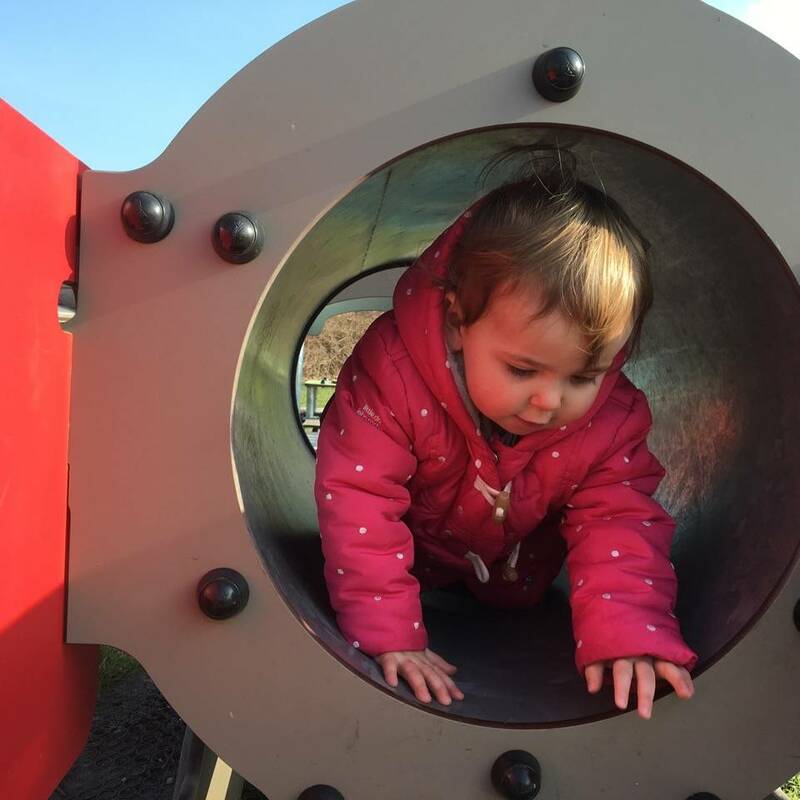 It’s these little things that can make such a difference to managing two little ones when out and about. Alice wanted to go and have a go on the big slide, which was outside the enclosed part we were in. 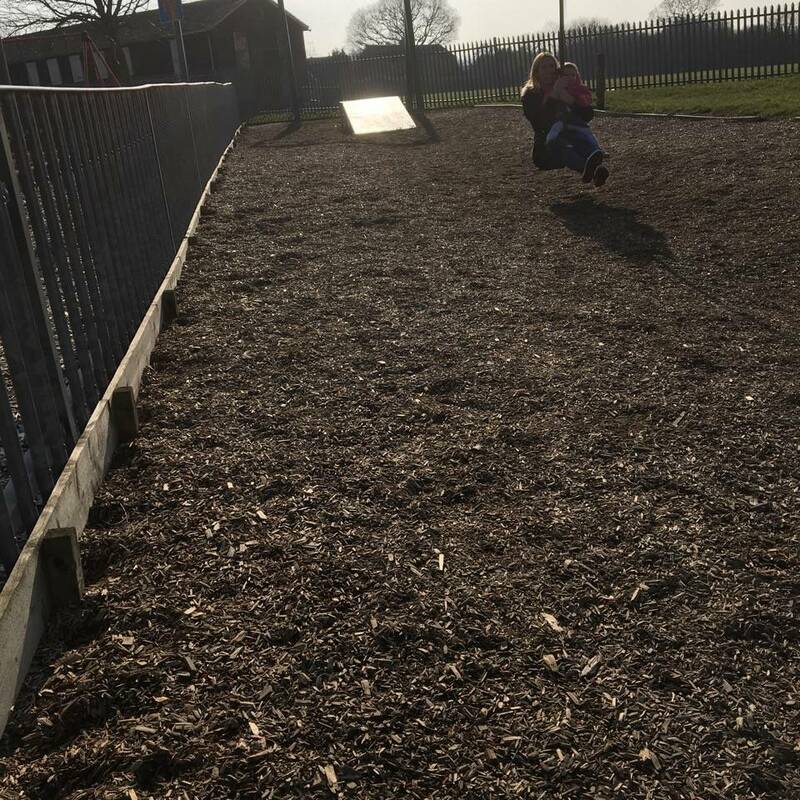 She was so cute, saying to me ‘I will just have a quick go mummy, because I know that Holly can’t go on it and I don’t want her to get upset’. We all went over and Alice had a ‘quick go’, which in fact was about six go’s. 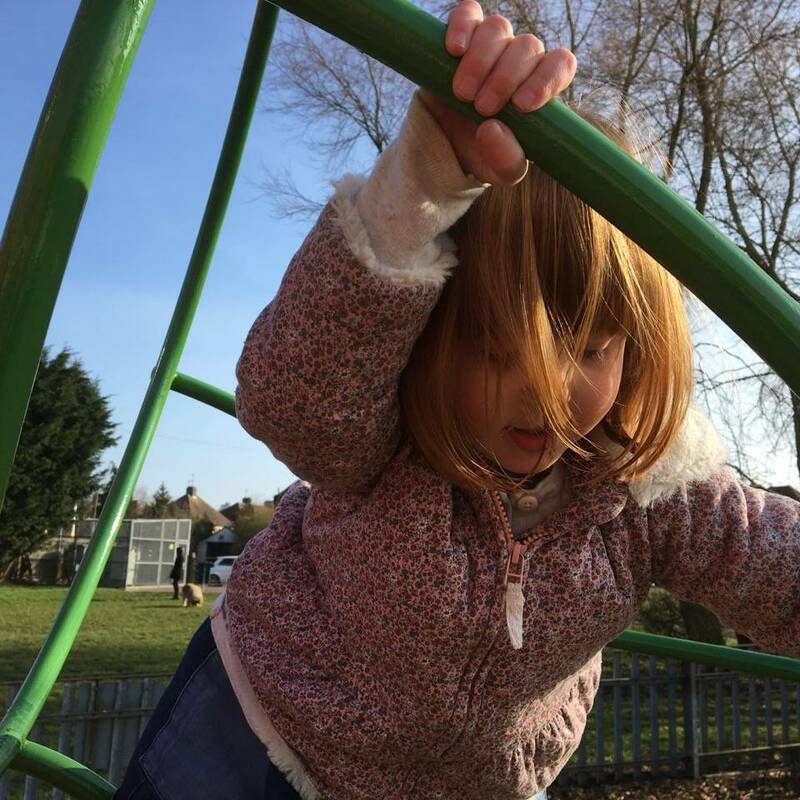 But, little Holly was enjoying just running around the poles of the slide and then Alice spotted the zip wire. 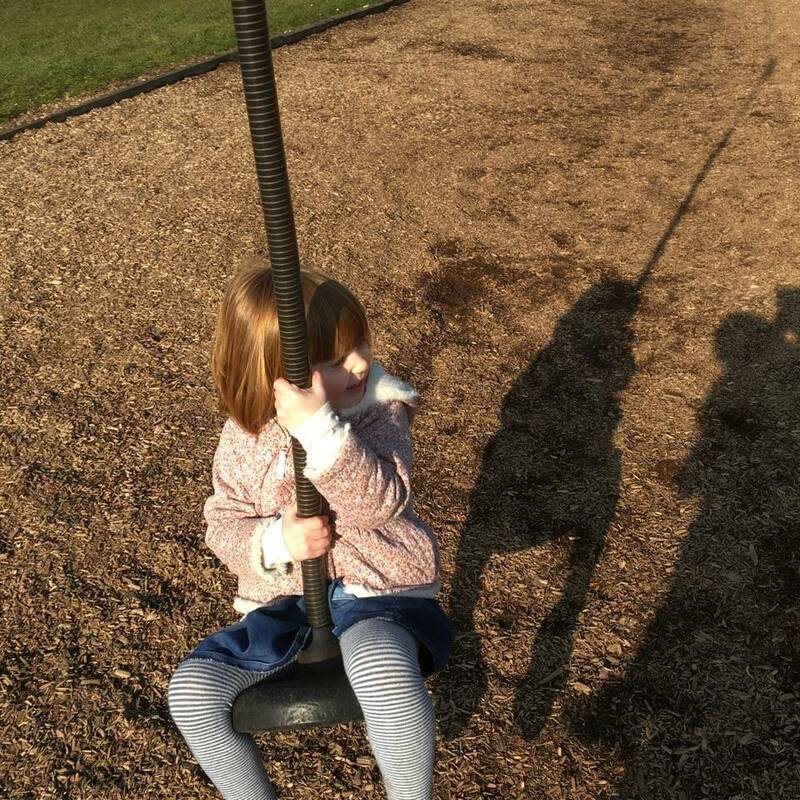 There are a couple of parks near us that have a zip wire and Alice has a love/hate relationship with them. She rushes over all excited and then stops and says ‘I’m not sure mummy’, but I know deep down she really wants to have a go. We grab the seat and she runs up to the platform and climbs on. I give her a push and she is off with a beaming smile. Now, Holly seems to take after me and has no fear. I think she is going to be my little dare devil, which I am not sure is a good thing or not. I know I am a bit of a dare devil, but I also know that has given my mum lots of worries over the years and now I don’t tell her about things until after the event. Holly starts pointing at the zip wire wanting a go, so I climb on with her sat on my lap. 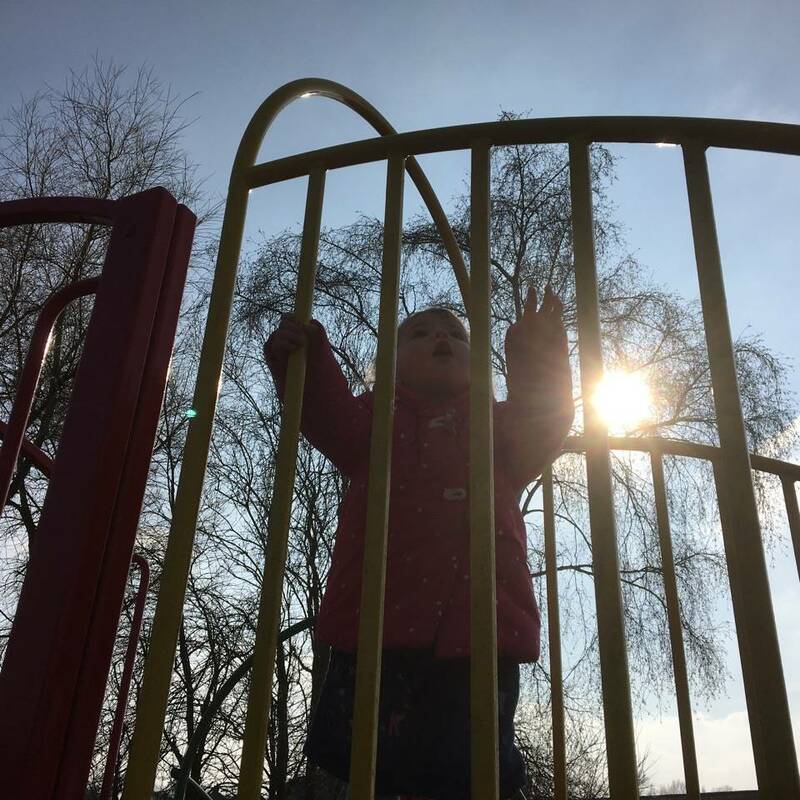 Alice says to me ‘let me take a picture for you mummy’, I pass her my camera and when I check my phone this is the photo that she took…I think she is better than me!! As we got back in the car to go home, I started to think ahead to the summer which makes me excited. Where we can pack up a picnic, head out for the day and make some memories. I plan on making the most of the next few months with both my girls, because in September Alice will start school and then our lives will change in a way that I cannot bring myself to thing about too much. Where routine and school holidays will start to be a big part of our lives. Having nice weather changed just everything doesn’t it? I feel instantly happier and more motivated to do things. Long may it last!! Lovely post. The park really is such a fun place to visit. 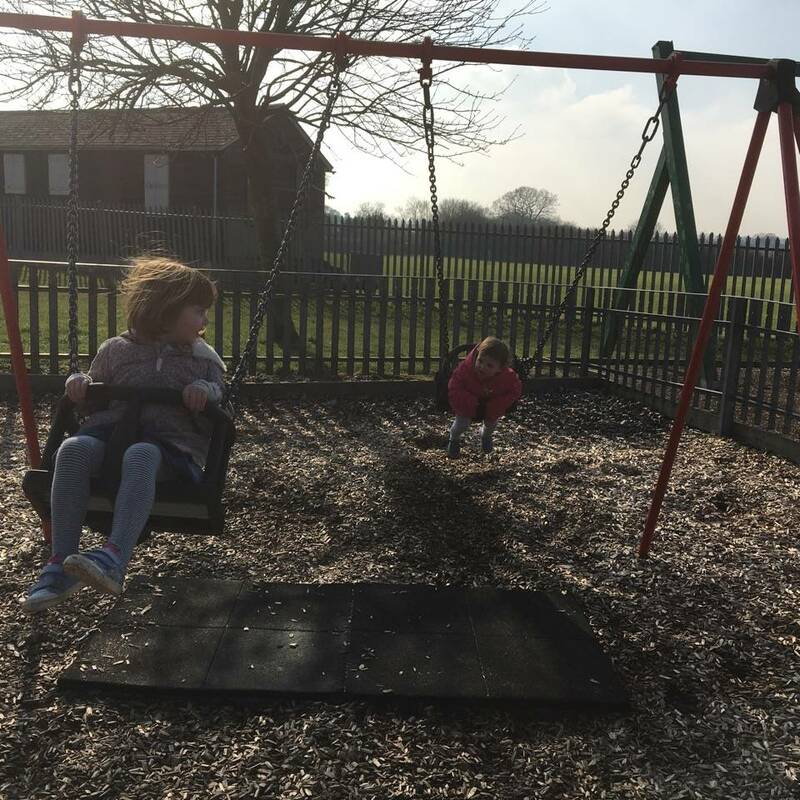 Oh what a perfect way to enjoy the sunshine – they look like they’re having a blast! !